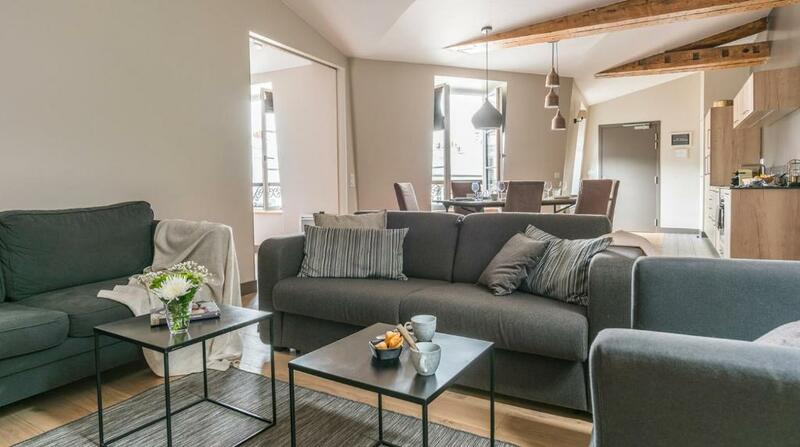 This is a beautiful, modern, architecturally-unique apartment near Place de la Bastille. We (16 year-old twins and 2 fifty-something’s) give it rave reviews. Amazing appartment. The hosts sent us a welcome pack beforehanf with every possible piece of information we might need. The place was spotless, great design, super safe (need to punch in 5 different codes/doors before getting to the apartment), we'll equipped and the location was fantastic. We'll definitely stay there again on our next trip to Paris. I loved the feeling of been at home with just everything we need. The apartment was spacious and very clean! The check-in and check-out process was simple to follow. Nice to not worry about losing keys! The welcome package was filled with good information and tips. Alexis answered my emails and was very helpful. It took us about 15-20 minutes to walk from Gare de Lyon train station... even with our 6 year old son. We were in Paris during a heatwave week and it was wonderful to have the air conditioning in the living room. We opened the bedroom doors and the ac unit did manage to cool the apartment down. Wi-Fi was excellent and all the appliances worked well. Lots of grocery stores and restaurants near by. Definitely recommend! The apartment we stayed in was beautiful, spacious and comfortable. Shops, restaurants and supermarkets in the area. Check-in was super easy, as we were able to do it before arrival. Doors open with an access code which the property owners send to you upon check-in. The owners were super helpful and very quick to respond. I highly recommend this property. The apartment was just beautiful. It was very spacious and in a great location. Would highly recommend! The apartment was very clean, well equipped and modern. Both beds we extremely comfortable with good linens. Close access to the metro to see sites, common and boutique shopping, bistros and bars. There were suggestions for groceries, bakeries,etc It was pricey but this is expected in Paris and we felt very safe and relaxed when there. Everything! It was a fabulous apartment. It was comfortable and relaxing. Lock in a great price for Résidence Bastille Liberté – rated 8.9 by recent guests! 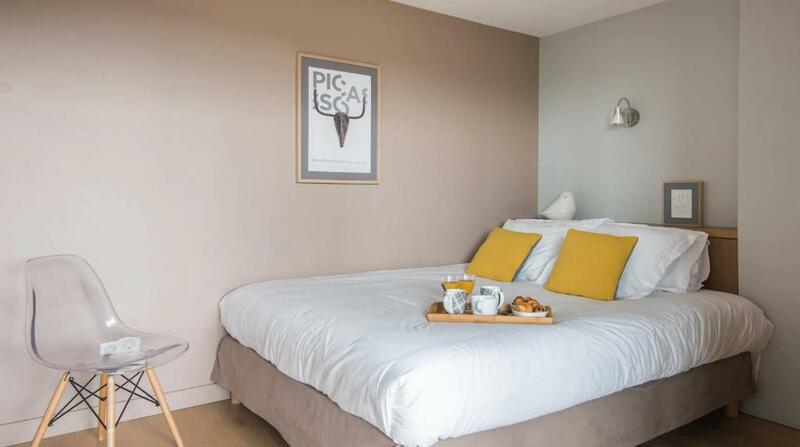 One of our top picks in Paris.Résidence Bastille Liberté offers accommodations in Paris, 1,300 feet from Opéra Bastille. The property features views of the city and is 0.9 mi from AccorHotels Arena. Free WiFi is provided . Pompidou Center is 1.1 mi from Résidence Bastille Liberté, while Noter Dame Cathedral is 1.1 mi away. Orly Airport is 8.7 mi from the property. 뀐 Located in the top-rated area in Paris, this property has an excellent location score of 9.2! 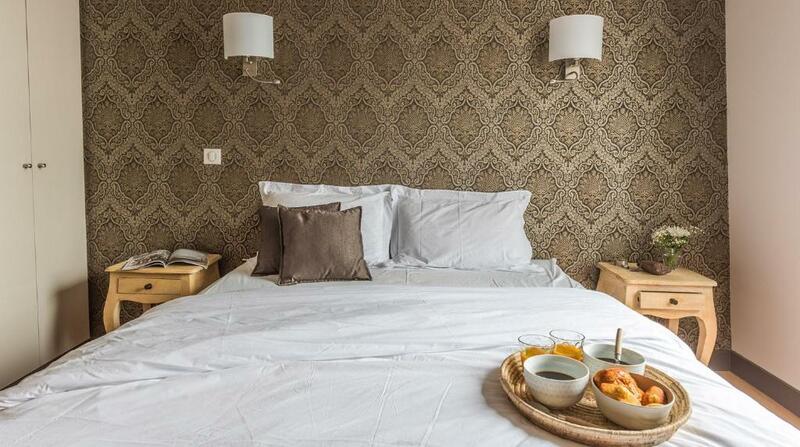 When would you like to stay at Résidence Bastille Liberté? 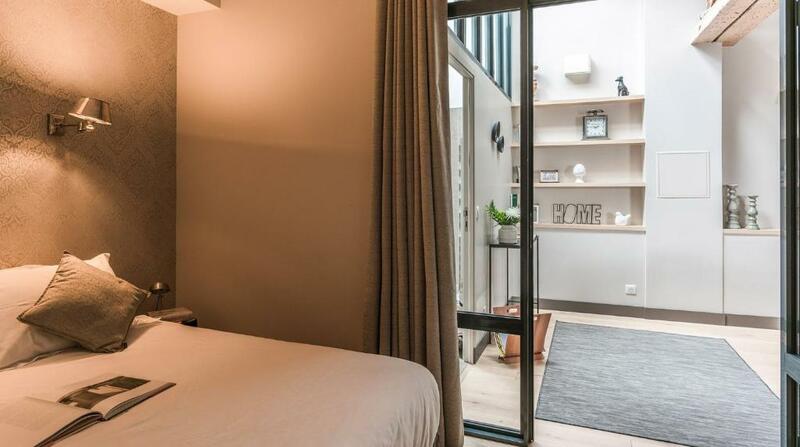 This apartment has a iPod dock, electric kettle and air conditioning. A baby chair and cot can be accommodated in this room upon request. This apartment features a kitchenware, iPod dock and toaster. This apartment has a kitchenware, microwave and air conditioning. On the right bank, just a stone’s throw from the Place de la Bastille, Anne and Philippe propose you their Résidence Bastille Liberté: three apartments where you can feel the pulse of a neighborhood full of soul and spirit with its lot of addresses to be found. Place d’ Aligre, Boulevard St Antoine, rue de Charonne, rue de Lappe. 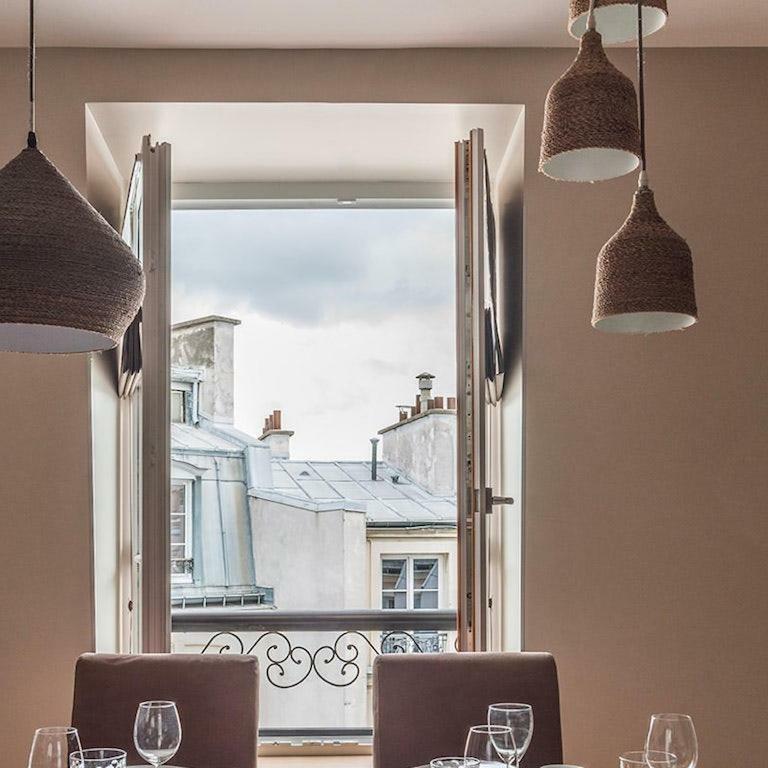 It is the bet of a Parisian couple: Philippe, manager of a restaurant chain, always looking for new projects, and Anne, teacher and sensitive to interior decoration. Once they have acquired the property, they have renovated and lighted up these three apartments, starting with large offices spaces. «Ideally located, you just had to give them character.» From then on, the high ceilings and the large bay window on the roofs of Paris gave birth to a loft with Eiffel-style metal beams. On the courtyard side, two workshops with oak beams where natural light gently interferes. To boost it, Anne chooses to dress the walls in bold colours, graphic games or wallpapers with graceful motifs. 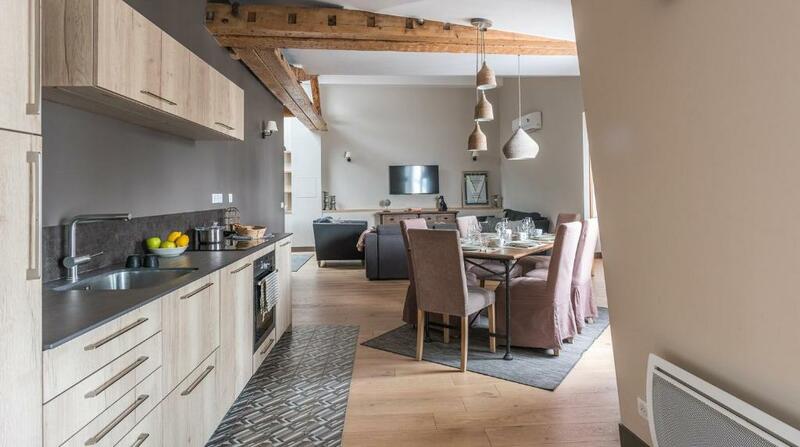 Three functional apartments enhanced with ideas and neat details, living in flexibility. Area Info – This neighborhood is a great choice for travelers interested in monuments, culture and museums – Check location Excellent location – show map Guests loved walking around the neighborhood! House Rules Résidence Bastille Liberté takes special requests – add in the next step! Résidence Bastille Liberté accepts these cards and reserves the right to temporarily hold an amount prior to arrival. Please note that the property will contact you after reservation to give you information about payment. New furnishings, very comfortable. Local amenities great. Good selection of restaurants and supermarkets. Sadly, the nice bars were so good that they were busy until 4.00am on Saturday morning and 5.00am on Sunday morning. Not good for a light sleeper. That said, if you are a party animal, you will be in for a treat! Great location, a light, well equipped and spacious apartment. The beds were comfortable and had nice crisp linen. Lots of nice restaurants and bars within easy walking distance. The area felt safe and locals were very welcoming. The remote for the air-con was nowhere in sight. Control for heater in second bathroom was not working. There are no shelves for in the bathrooms for shampoo bottles, etc. The location was perfect! Restaurants and supermarkets just a mins away. The apartment's interior and design was fabulous. Too many different password codes to get in. Sofa bed in lounge was fine for kids but possibly not great for adults. In a beautiful courtyard, very secure, several gates and doors to get through to apartment. 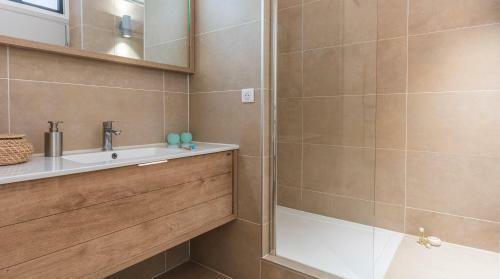 Modern interior, great facilities, modern kitchen and bathroom, main bed was very comfortable, nice linen, heating came on quickly and warmed everywhere up when it got chilly in the evening. With the blinds closed the room was really dark and the courtyard location made it very quiet so got a good nights sleep despite being in a busy area. Two minutes walk to nearest Metro stop. Excellent communication with apartment hosts and best of all, we were able to leave our bags and check out late which was very much appreciated. I was hoping there will be cleaners to help us clean the place. the large windows are facing a noisy street full of trendy clubs that operate all night till early morning hours. I had to sleep with earplugs. Absolutely amazing property! Safe and in a great spot for young adults. Very warm and welcoming host. Had a great time!